When I wander around in the dunes at Coquina Beach State Park in NC, I feel somehow transported back in time. Even though the dunes change every day, they are timeless. 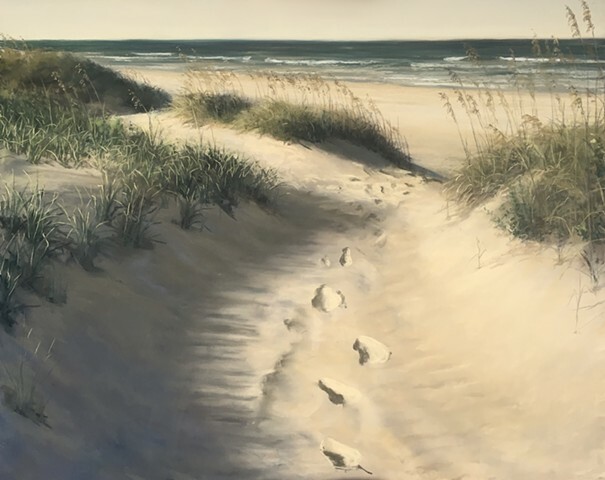 These Footprints in Coquina paintings are part of my Beach Nostalgia series.